Caroline Mallonee (b. 1975) is a composer and performer based in Buffalo, NY. Mallonee’s music has been programmed at venues in New York City including Carnegie Hall, Lincoln Center, Symphony Space, Merkin Hall, Bargemusic, Tenri Cultural Center, Town Hall, Roulette, and Tonic, as well as further afield at the Long Leaf Opera Festival (NC), Carlsbad Music Festival (CA), Bennington Chamber Music Conference (VT), Cambridge Music Festival (UK), Tokyo Opera City (Japan), the Corcoran Gallery (Washington, DC), Turner Ballroom (Milwaukee, WI) and Jordan Hall (Boston, MA). Inspired by scientific phenomena, visual art, languages, and the propagation of sound, Mallonee has been commissioned to write new pieces for the Buffalo Philharmonic Orchestra, Spektral Quartet, Firebird Ensemble, Present Music, Wet Ink Ensemble, Antares, PRISM Quartet, ANA Trio, Ciompi Quartet, and the Buffalo Chamber Players, for whom she serves as composer-in-residence. Her music has been performed by soloists including pianists Eric Huebner, Steven Beck, Stephen Gosling, and John McDonald, as well as Haruka Fujii (percussion), Natasha Farny (cello), Miranda Cuckson (violin), Amy Glidden (violin), Feng Hew (cello), Janz Castelo (viola) and Kimberly Sparr (viola). The New York Philharmonic included her music on its CONTACT! new music series at National Sawdust in 2015 and has commissioned a new piece for the 2020-2021 season. Mallonee has been recognized through commissions and awards from the Fromm Foundation, Meet The Composer, the Jerome Fund for New Music, and ASCAP, from which she received a Morton Gould Young Composers Award. She is a professional singer in the Vocalis Chamber Choir and is the director of the Walden School Creative Musicians Retreat, a week-long festival for composers and improvisers held in New Hampshire each June. As a violinist, Mallonee was a founding member of pulsoptional (based in North Carolina) and Glissando (based in New York City). She studied composition with Louis Andriessen at the Royal Conservatory of the Hague (Fulbright Fellowship, 2005), Scott Lindroth and Stephen Jaffe at Duke University (Ph.D. 2006), Joseph Schwantner and Evan Ziporyn at the Yale School of Music (M.M. 2000), and Bernard Rands and Mario Davidovsky at Harvard University (B.A. 1997). Mallonee was named one of 19 female composers to be commissioned by the New York Philharmonic to celebrate the centennial of the 19th Amendment. Built FOR BUFFALO 2 released! 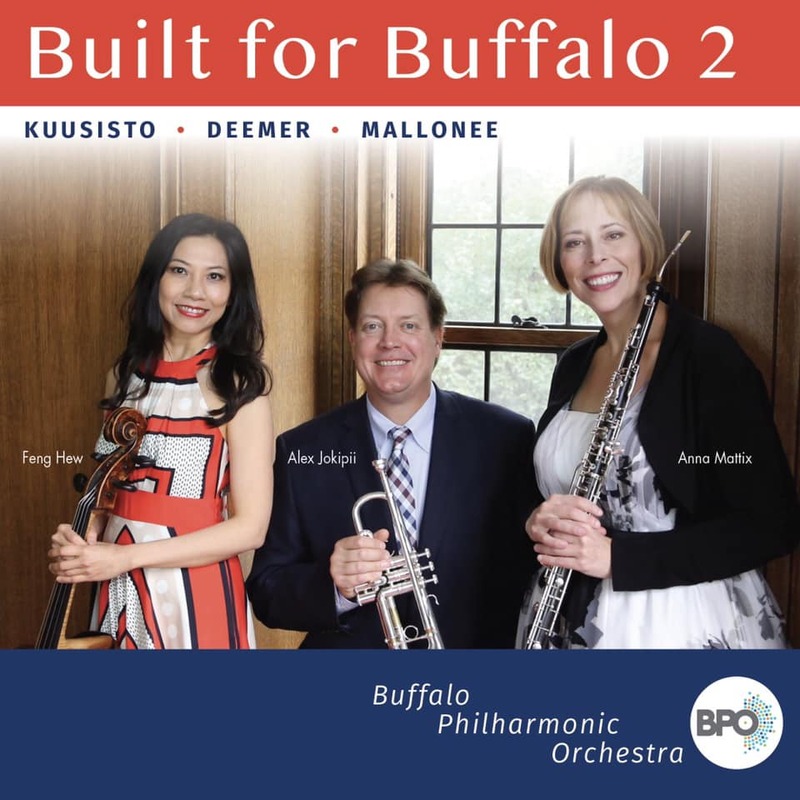 Mallonee’s cello concerto, Whistler Waves, is included on the BPO’s recent CD release, featuring Feng Hew, cello, and JoAnn Falletta, conductor.